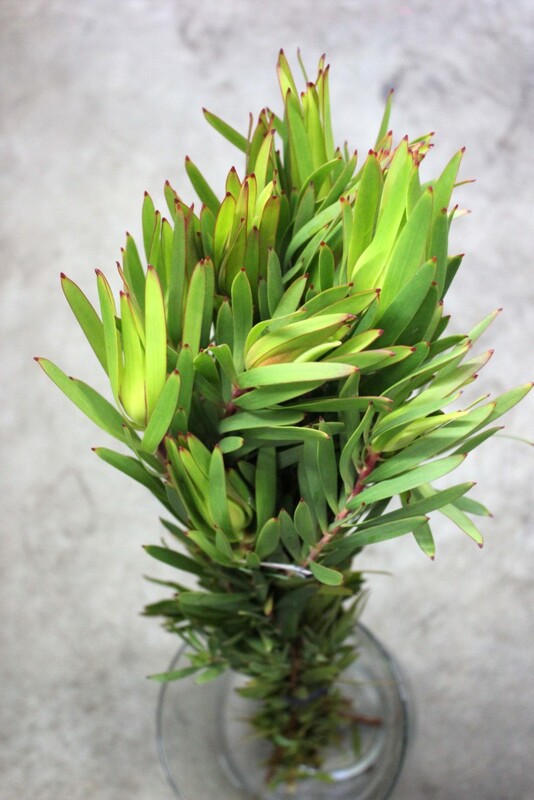 Green Leucadendron is seasonally available. Its long slender green leaves have red tips and red branches. Please ask your salesperson for this week’s availability.